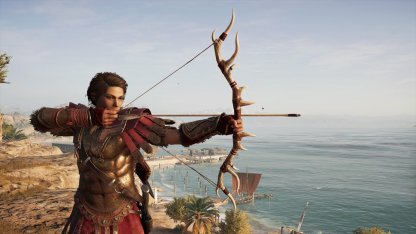 Check out the stats & how to get the Legendary weapon - Artemis's Bow for Assassin's Creed Odyssey! Unique Perk - "+20% Damage with Predator Shot Ability"
This bow grants a solid damage bonus to the Predator Shot Ability. You can easily do headshots & eliminate targets from far-off distances. Artemis's Bow boosts your Hunter Damage by 9% and your Bow Charging Speed 4%. Charging up your shots faster will allow you to deal bigger damage to opponents in a short amount of time. You'll receive this bow once you complete the first quest in "Daughters of Artemis". 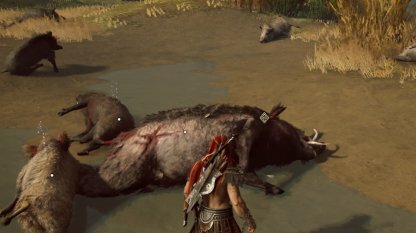 You have to find & defeat the Kalydonian Boar to finish the quest & get this reward. Check Out Phokis Side Quest Walkthrough Guide! 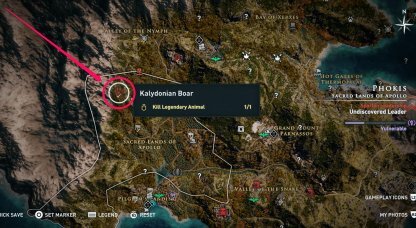 You can spot the Kalydonian Boar in the western part of Phokis. It's in a marsh below the Valley of the Nymph & above the Sacred Lands of Apollo.